A family heritage that was established in 1942, Gunner Foxx trained with his grandfather since he was 10 years old. His Grandfather was one of the main Hollywood Hat Makers throughout the 1940s to the late 1970s. When Gunner trained with his grandfather he learned the true art of hat making. 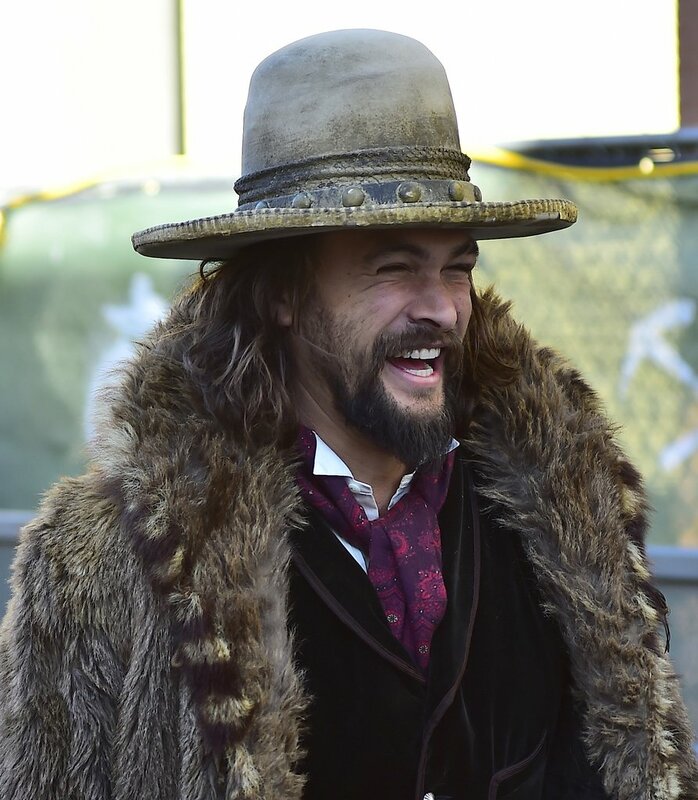 Gunner uses early 19th century hat making methods and felting techniques that no longer exist in today’s hat industry. Gunner has made character pieces for films, actors, and musicians the last 15 years and now has opened his doors to the public so that the every day Joe can have a real handmade hat. 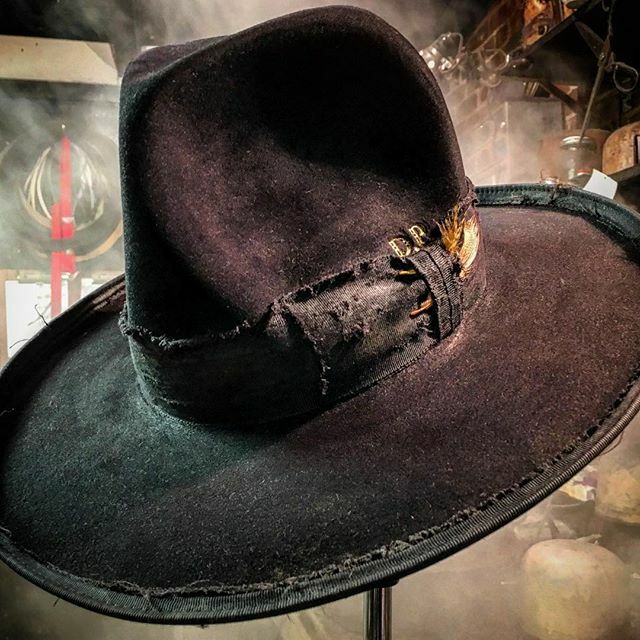 If a new hat is a lot to start then he can repair, re-shape, and clean your existing hat. Walking through his shop on Sunset Blvd. in West Hollywood (located inside Schaffer’s Garment Hotel) is like a trip on set for the awesome HBO series Deadwood. The hats are recreated and distressed, appearing to be a relic of a bygone era, while retaining the solid structure of a brand new hat. One of his most loyal (and high profile) clients is Jason Momoa, late of Game of Thrones (as Khal Drogo) and currently as Aquaman. Johnny Depp is also a regular customer. Gunner does not use any machines hat presses, no pre-formed hat blocks and no assistants of any kind. 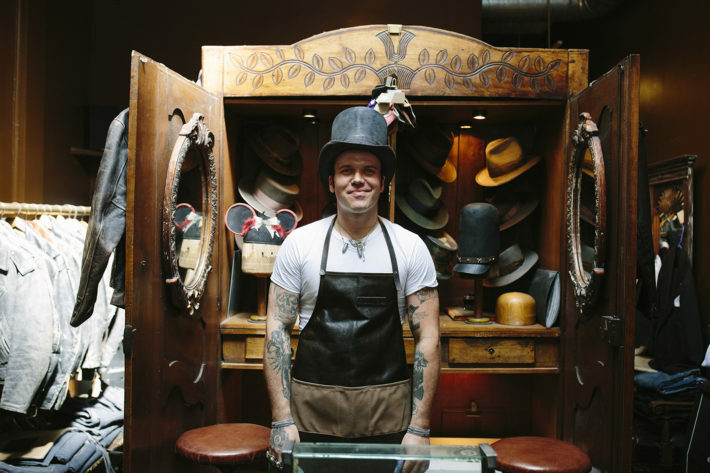 No two hats are the same and Gunner will sit down with you too work with you to create the perfect hat. Gunner’s location inside Hollywood haberdashery Schaeffer’s Garment Hotel is a place where they literally make their own T-shirts, denim and hats on site, tailoring everything to your exact needs and specifications. Visit Gunner Foxx online HERE.